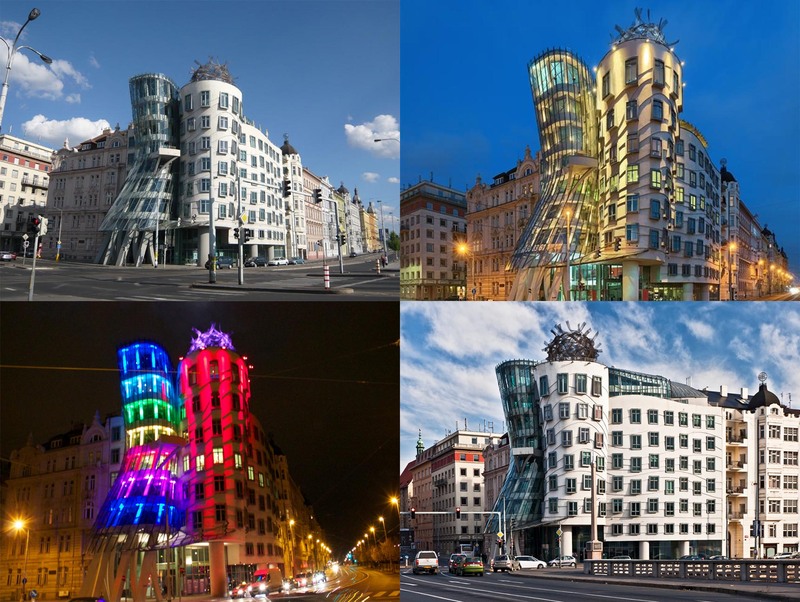 The Dancing House (Czech: Tančící dům), or Fred and Ginger, is the nickname given to the Nationale-Nederlanden building on the Rašínovo nábřeží in Prague. It was designed by the Croatian-Czech architect Vlado Milunić in cooperation with Canadian-American architect Frank Gehry on a vacant riverfront plot. The building was designed in 1992 and completed in 1996. Gehry originally named the house Fred and Ginger (after the famous dancers Fred Astaire and Ginger Rogers - the house resembles a pair of dancers. At present, in its bowels you will find not only offices and a restaurant, but also a new hotel. From the terrace, there is a wonderful view of the Vltava River and the Prague Castle panorama.